*Show lasts approximately 3 hours. Drinks not included in ticket price, please order from your waiter. Come and join us for a 3 Course Meal at FOLEY’S. Mrs Brown, Family, and Friends have surprises in store for you, a return from the Grave, Interpol, Spanish Senorita, Police Officer, Briefcase full of Gold, if you expect the unexpected you won’t be disappointed. A big fun night out in a friendly party atmosphere with some of the finest comedy actors in the land, professionally produced to the highest standards and with your enjoyment always at the top of the menu. A show that guarantees to reach chuckle muscles you never knew you had! 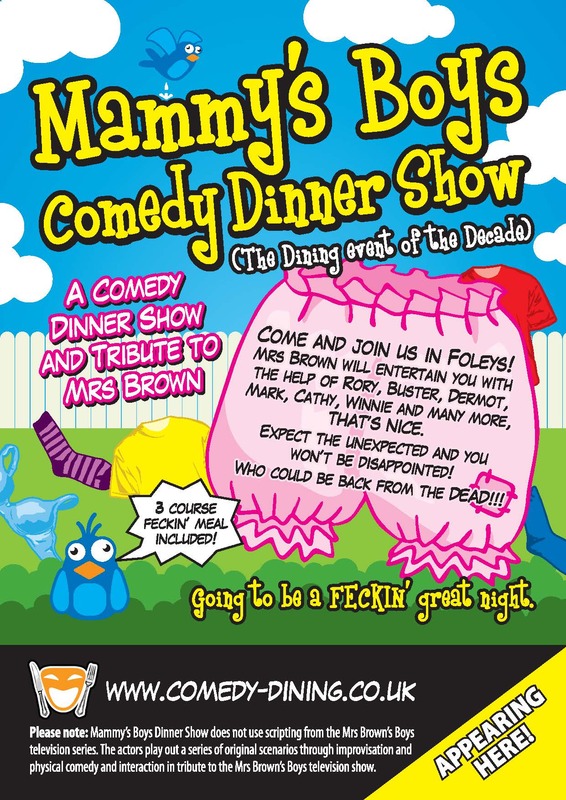 Please note: Mammy's Boys Dinner Show does not use scripting from the Mrs Brown's Boys television series. The actors play out a series of original scenarios through improvisation and physical comedy and interaction in tribute to the Mrs Brown's Boys television show. Please select one dish from each course and let us know what you'd like when you book! Please advise at time of booking any food allergies or intolerances so we can offer alternative choices. For our Mammy's Boys dinner guests we have a special accommodation offer for Saturday 9th March 2019. 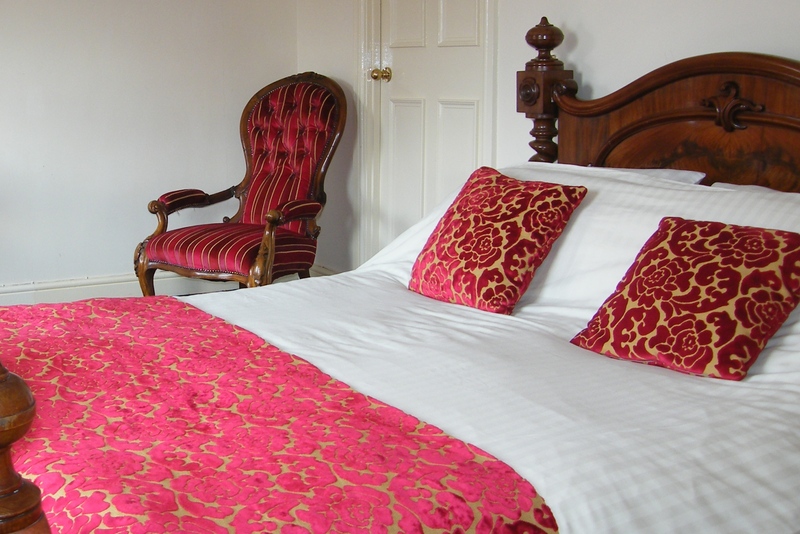 Two people sharing a Classic Double Room similar to the one shown, just £80 including breakfast! To book, please call 01455 553307 or email.